As many of you can attest to, 'gluten free', 'delicious' and 'convenient' do not often end up in the same sentence. Many companies have come out with foods that meet this and are gluten free, however, it is rare to find a product that doesn't also contain all sorts of bad-for-you ingredients too. There are a few brands and products out there though that have been able to achieve this, and Ian's Natural Foods is one of them. 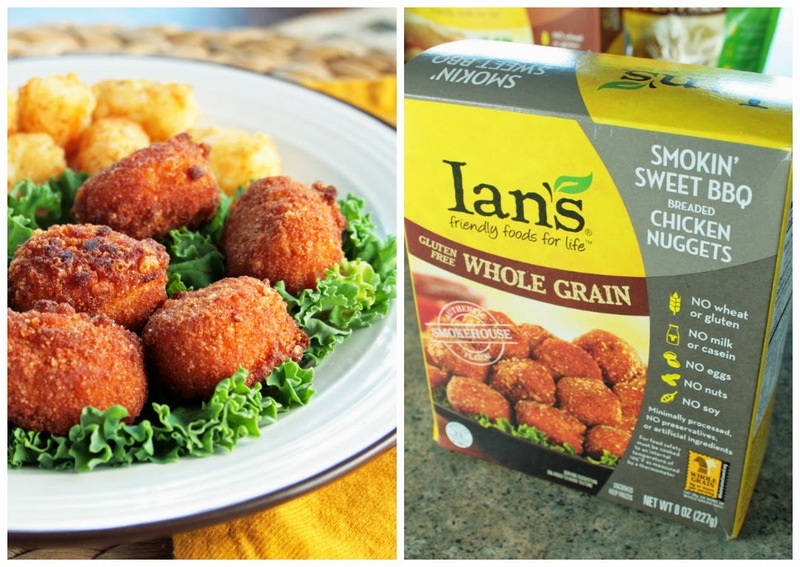 Since 2003, Ian's mission (as stated on their website) is "to be the leading provider of high quality and allergy-friendly foods that consumers can trust". 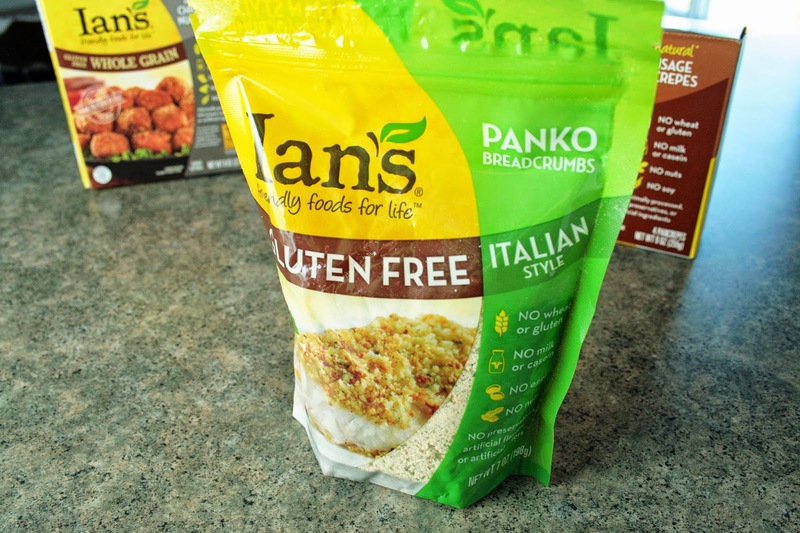 All of Ian's products are void of artificial flavors, preservatives, trans fats, hormones, refined sugars, bleached flours and hydrogenated oils. So what you get are natural and very delicious products that are sure to please adults and kids alike. 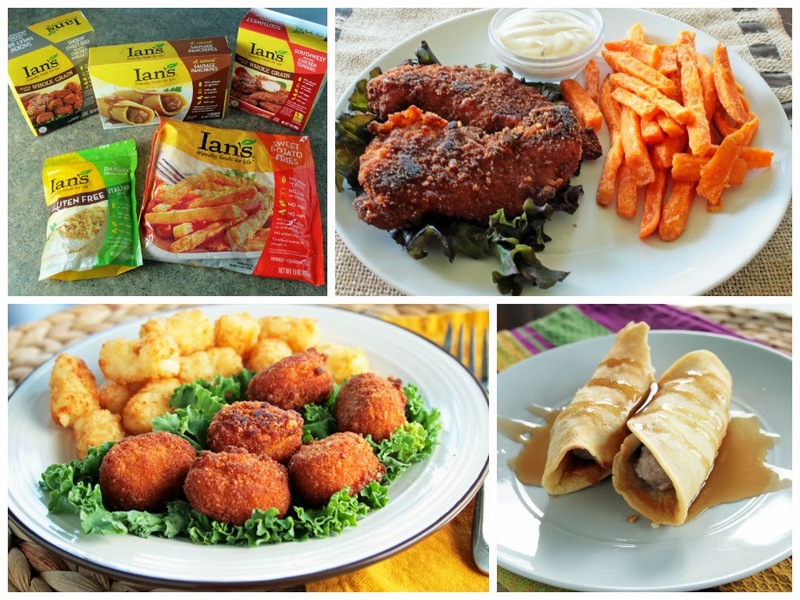 I was very excited to sample Ian's Natural Foods, and received a wide range of products to try. I have to say, I loved all of them and would gladly keep them on hand for when I need a quick meal that I know is better for me than many alternatives. These chicken tenders were moist and tender with a deliciously crispy breading. The sweet potato fries were sweet, and were especially great dipped in a little honey. I enjoyed both of these together for a sweet and spice combination, which was perfect! Similar to the Southwest Chicken Tenders, Ian's BBQ nuggets were moist with a crispy breading as well. Of the two though, the BBQ nuggets were my favorite with a slightly sweet barbecue flavoring. 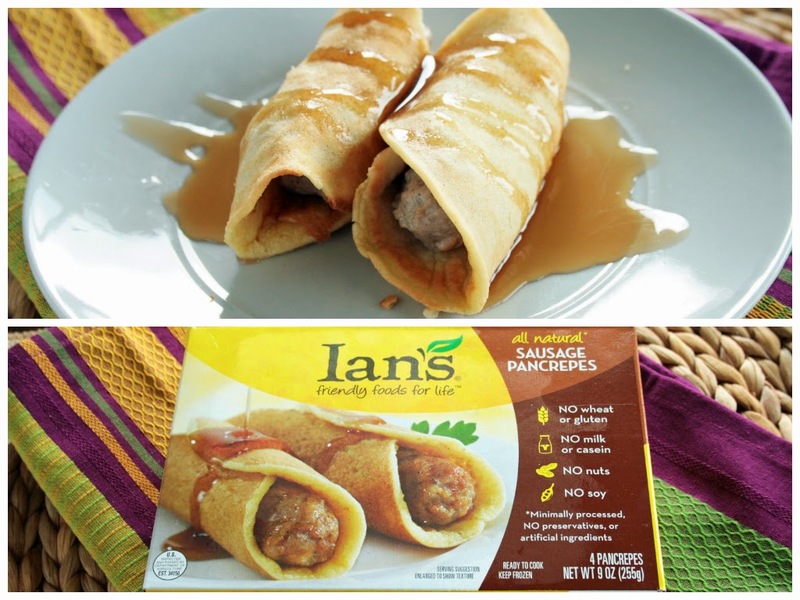 I was very excited to try these sausage pancrepes, because what's not to love about a salty sausage link wrapped in a sweet pancake/crepe?? I did not manage to get a picture of the breadcrumbs in action, but I promise, they were super delicious. I used them to make homemade chicken tenders, which I shared with my family. All the tenders were quickly devoured, and everyone raved about how amazing they were. You can't even tell these crumbs are gluten free. 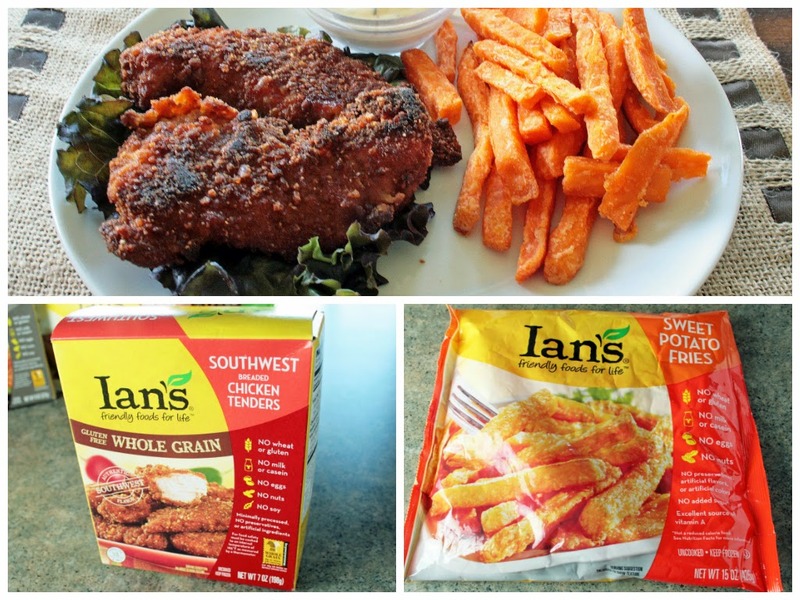 Overall, I was extremely impressed with the quality of Ian's Natural Foods as well as the flavor and consistency of all of the products I sampled. I would purchase each and every one of them again. Because I was so excited about Ian's, I will be giving away an awesome prize pack to one lucky reader! All you have to do is use the Rafflecopter widget below to enter for your chance to win a prize pack (courtesy of Ian's Natural Foods) that includes one package each of the: Panko Breadcrumbs, Oatmeal Cookie Buttons, Animal Cracker Cookies, Chocolate Chip Cookie Buttons and Snickerdoodle Cookie Buttons. The giveaway will begin at 12:00am EST on Tuesday, June 3, 2014 and will end at 11:59pm EST on Monday, June 9, 2014. One winner will be randomly selected and notified via email within 48 hours of the end of the giveaway (must be US-based). Disclaimer: I was given products to sample by Ian's Natural Foods, however (and as always), my review and opinions are completely my own.